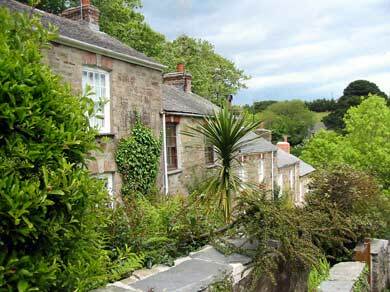 Attractive terrace of miners cottages rejoicing in the unusual name of "Stippy Stappy"
St Agnes is centrally situated, being just off the main A30 Trunk road, making it an ideal base for sightseeing around the whole of Cornwall. In the past St Agnes was the centre of a very profitable mining industry, the remnants of which can be seen in the form of old mine buildings all around the village and surrounding area. For visitors wishing to find out more of the mining and seafaring history, St Agnes Museum can be recommended. 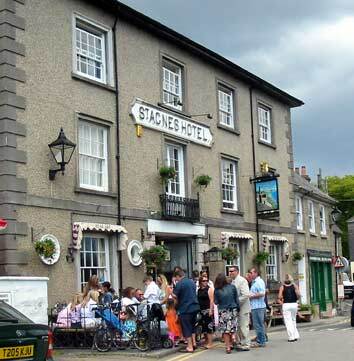 St Agnes has all the small shops and amenities that a visitor could want, good pubs, cafes, restaurants, a traditional old bakery still baking delicious bread, even a fish & chip shop and a wide range of local craft shops and galleries. The people are friendly and lively, and there is always something going on including fetes, regattas, fishing contests, a carnival, and music and theatre. The main street winds slowly downhill past a row of cottages known as Stippy Stappy eventually ending up at Trevaunance Cove.